We explicitly compute the tree-level on-shell four-graviton amplitudes in four, five and six dimensions for local and weakly nonlocal gravitational theories that are quadratic in both, the Ricci and scalar curvature with form factors of the d’Alembertian operator inserted between. More specifically we are interested in renormalizable, super-renormalizable or finite theories. The scattering amplitudes for these theories turn out to be the same as the ones of Einstein gravity regardless of the explicit form of the form factors. As a special case the four-graviton scattering amplitudes in Weyl conformal gravity are identically zero. Using a field redefinition, we prove that the outcome is correct for any number of external gravitons (on-shell n−point functions) and in any dimension for a large class of theories. However, when an operator quadratic in the Riemann tensor is added in any dimension (with the exception of the Gauss-Bonnet term in four dimensions) the result is completely altered, and the scattering amplitudes depend on all the form factors introduced in the action. Y. Wang and X. Yin, Constraining Higher Derivative Supergravity with Scattering Amplitudes, arXiv:1502.03810 [INSPIRE]. H. Elvang and Y.-t. Huang, Scattering Amplitudes, arXiv:1308.1697 [INSPIRE]. X. Calmet, D. Croon and C. Fritz, Non-locality in Quantum Field Theory due to General Relativity, arXiv:1505.04517 [INSPIRE]. R. Percacci, Asymptotic Safety, arXiv:0709.3851 [INSPIRE]. D.F. Litim, Fixed Points of Quantum Gravity and the Renormalisation Group, arXiv:0810.3675 [INSPIRE]. A. Codello, R. Percacci, L. Rachwal and A. Tonero, Computing the Effective Action with the Functional Renormalization Group, arXiv:1505.03119 [INSPIRE]. L. Modesto, Super-renormalizable Multidimensional Quantum Gravity, Astron. Rev. 8.2 (2013) 4 arXiv:1202.3151 [INSPIRE]. L. Modesto, Multidimensional finite quantum gravity, arXiv:1402.6795 [INSPIRE]. L. Modesto, Super-renormalizable Higher-Derivative Quantum Gravity, arXiv:1202.0008 [INSPIRE]. L. Modesto and L. Rachwal, Universally Finite Gravitational &amp; Gauge Theories, arXiv:1503.00261 [INSPIRE]. E.T. 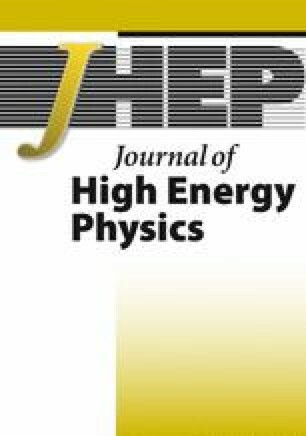 Tomboulis, Superrenormalizable gauge and gravitational theories, hep-th/9702146 [INSPIRE]. Y.-D. Li, L. Modesto and L. Rachwal, Exact solutions and spacetime singularities in nonlocal gravity, arXiv:1506.08619 [INSPIRE]. V.P. Frolov, Do Black Holes Exist?, arXiv:1411.6981 [INSPIRE]. S. Deser and A.N. Redlich, String Induced Gravity and Ghost Freedom, Phys. Lett. B 176 (1986) 350 [Erratum ibid. 186B (1987) 461] [INSPIRE]. T. Biswas, T. Koivisto and A. Mazumdar, Nonlocal theories of gravity: the flat space propagator, arXiv:1302.0532 [INSPIRE]. L. Modesto, Towards a finite quantum supergravity, arXiv:1206.2648 [INSPIRE]. F.d.O. Salles and I.L. Shapiro, Do we have unitary and (super)renormalizable quantum gravity below the Planck scale?, Phys. Rev. D 89 (2014) 084054 [arXiv:1401.4583] [INSPIRE].